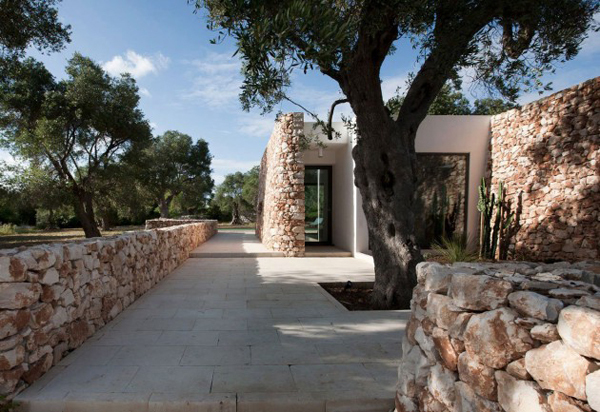 Casa nel Bosco di Ulivi designed by Luca Zanaroli is an amazing modern house that combines clean lines and shapes of contemporary architecture with the traditional stone. 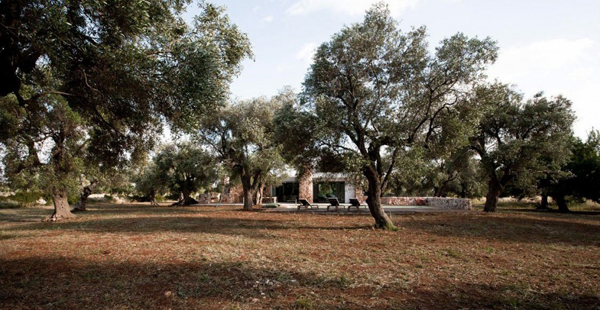 Looking for a more sustainable way of using the sight for building a house which is filled with olive trees the architect created a modern cube-like structure with enough living space and used the natural stone found on the sight to create a contrasting element to the living premises. 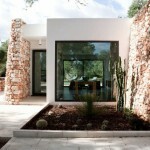 From aesthetic point of view this combination made for an amazing look. 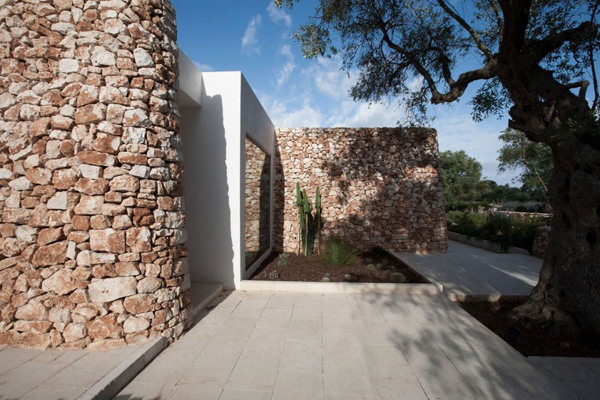 The simplicity of a boxy house and the intricacy of stone and texture it creates is simply amazing. 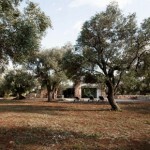 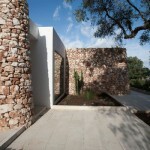 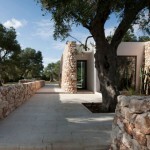 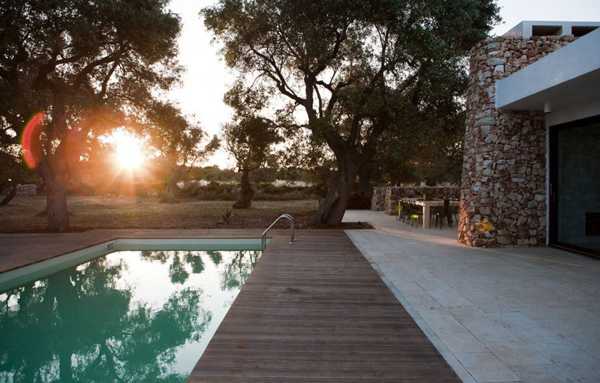 Besides the natural stone makes an amazing job fitting the modern house into the landscape of land and olive trees. 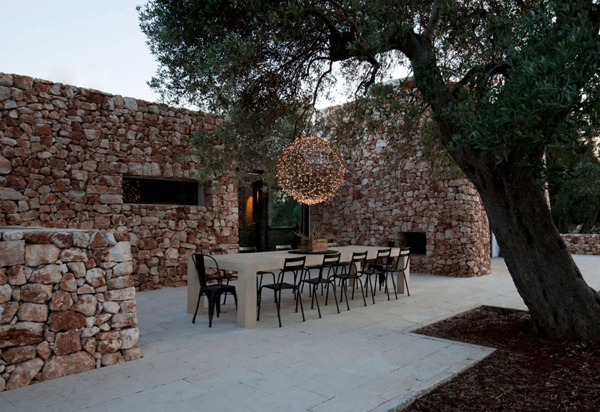 Indoors are designed in modern style in white color scheme and furnished with mixture of modern and traditional furniture and utencils. 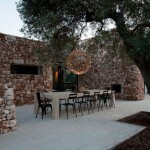 The house features an outdoor dining area with a long dining table and numerous chairs as well as chaise longues for outdoor recreation. 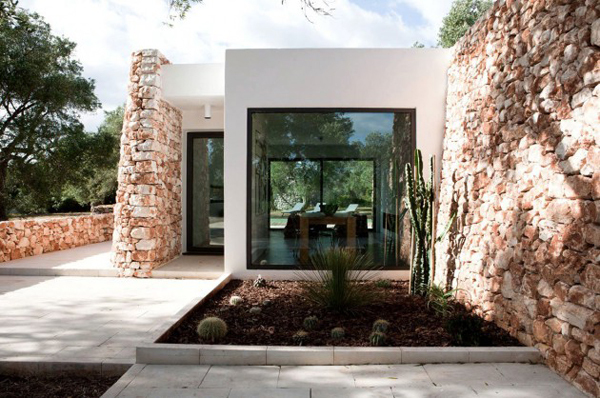 To enhance natural lighting in the house the designers considered several big windows, skylights, and slim windows in such areas like bathroom. 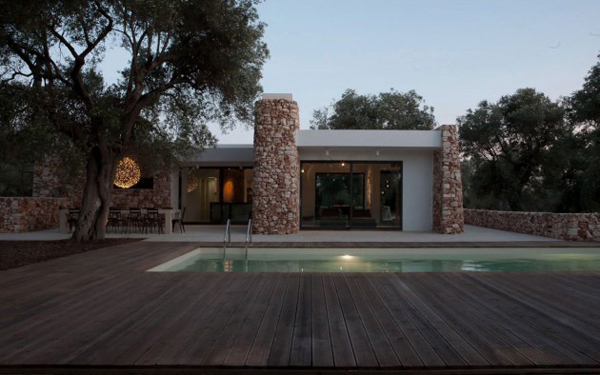 The house also features a pool with a wooden plank terrace and paved area around.